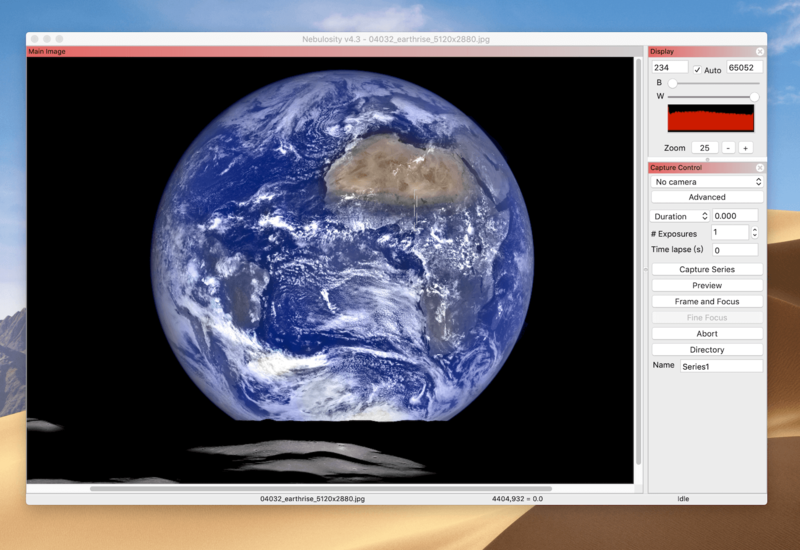 Nebulosity is designed to be a powerful, but simple to use capture and processing application for macOS / Windows (7/8/10 32/64 bit). A huge array of cameras are supported for capture (see below) and images from just about anything can be processed (support for many FITS formats, PNG, TIFF, JPEG, DSLR RAW files, etc). Its goal is to suit people ranging from the novice imager who wants to create his or her first images to the advanced imager who wants a convenient, flexible capture application for use in the field. In it, you get a host of purpose-built, powerful tools to make the most out of your images and imaging sessions.